Even though this totally is not an outfit I would normally think to wear, I kind of love it! Since jean shorts are a little casual for me, a navy and white striped tee perfectly dresses it up while still keeping it fun and fresh. I paired it with my new clutch from Urban Outfitters (the fact that I found something there I love was quite shocking to say the least) for a pop of color and my metallic Sperrys to give it a nautical edge. And of course, nothing says nautical like my favorite rope bracelet by the Ropes Maine! This is definitely a new go-to outfit for those lazy summer days and I can't wait to find more ways to dress up a pair of jean shorts. 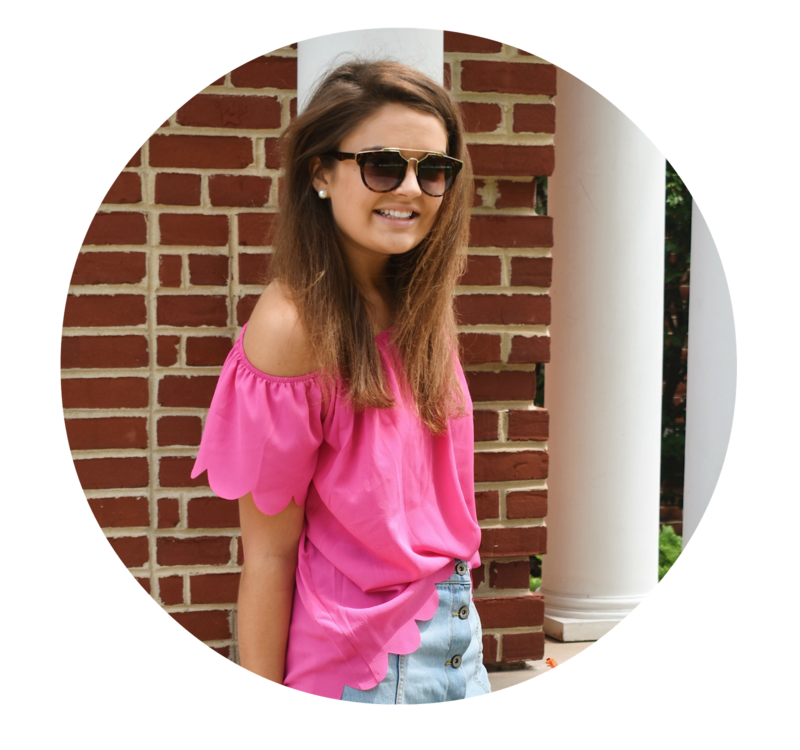 Today's post is actually a link up with Scarlett from The Trendy Chick so be sure to check out her blog for lots of other outfits with fun patterns! Do you have any other fun ways to dress up denim shorts? I love the way you styled these shorts! I totally need to get my hands on a Ropes Maine bracelet! I participated in this link up too! So fun! OHH this is reaaaally cute Carin! Love the striped top! Your bracelets and clutch add the perfect amount of color too! Love the striped top! I've been looking for a cute pair of denim shorts too! I'll have to check these out! Nicely done, Carin! Love anything and everything striped. Such a fab look especially with that clutch, it's gorgeous! I participated in this link up too and I love how the small pop of color really completes such a simple look! I have a striped top really similar to that and I love it! Such a great look Caroline! Love the casual yet cute outfit! I love this outfit - so simple yet so cute!